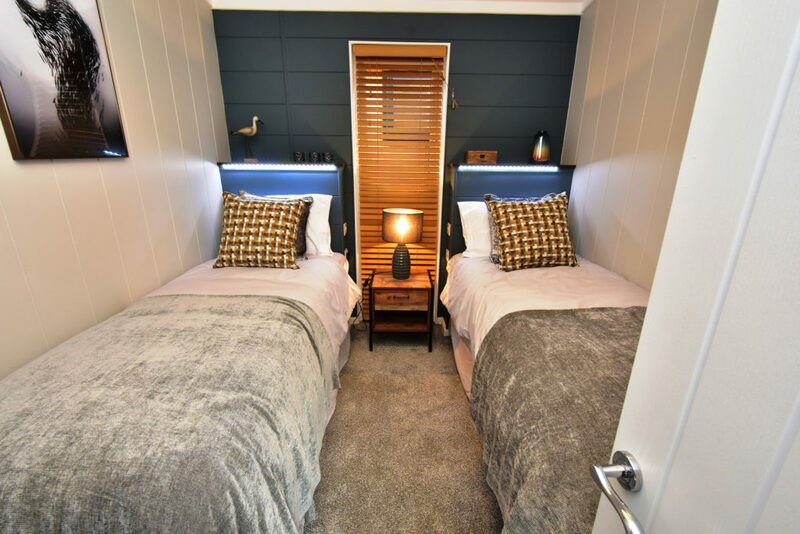 Tingdene launches their single holiday lodge which offers a contemporary holiday home for four, plus it’s available in two interior colour choices! 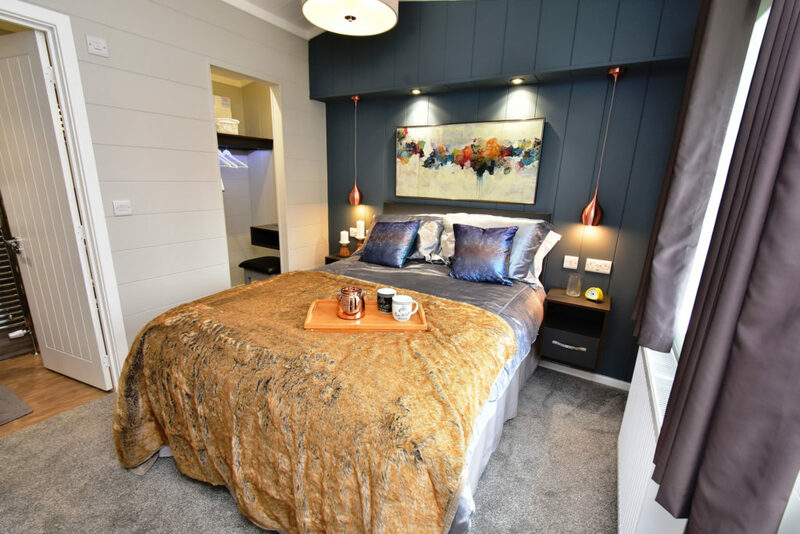 Tingdene celebrate 50 years in business in 2019 and from producing just a few park homes the company now operates parks, marines, and builds park homes too – holiday lodges are an area the company is expanding in. We reported on the Havana lodge a few months ago and were more than impressed, so would the Savannah live up to its sibling’s attributes? This Savannah is the “coastal” version, so interior decor centres around pastel blue. 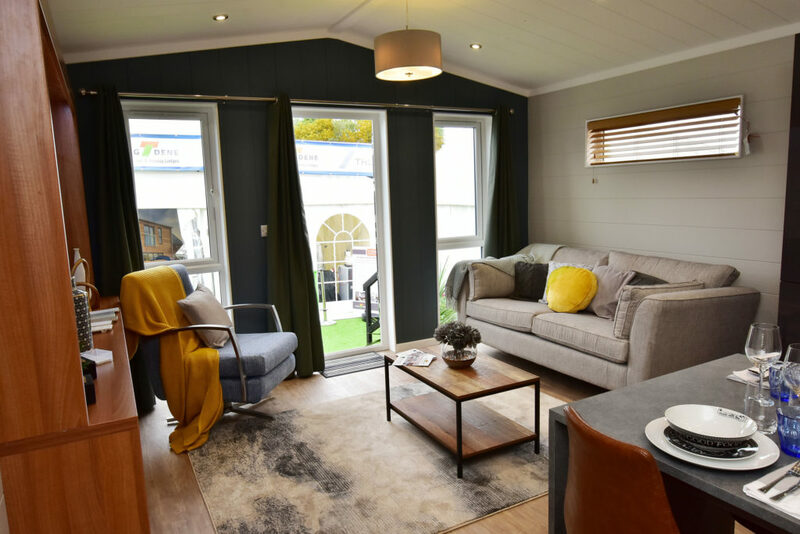 But at the Scottish Caravan, Motorhome and Holiday Home Show, Tingdene displayed its “woodland” version with green replacing the blues. 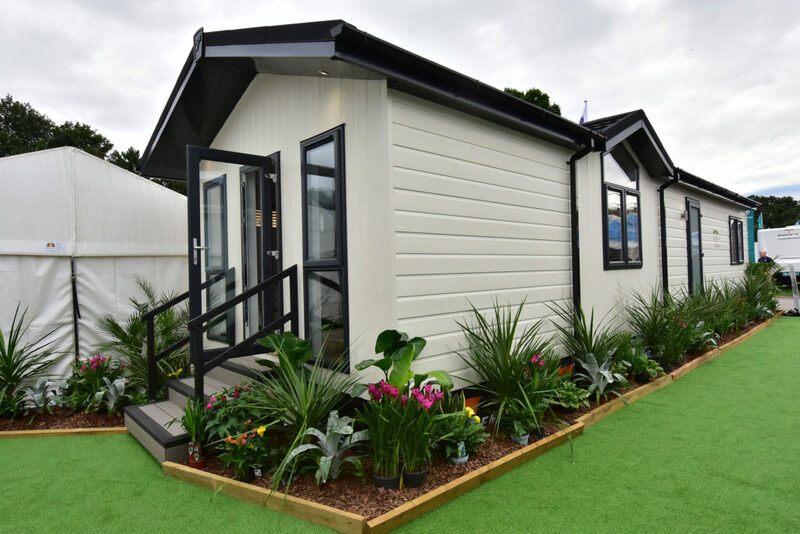 So, checking out the exterior of the Savannah, it looks very modern with its apex roof design and vinyl cladding (available in several colours) which is complemented by the lodge’s internally beaded double glazed windows. There’s full guttering drainage and French doors at the front end of the Savannah, with two portrait side windows. A side entrance door allows access into the hallway. The Savannah is also built to residential BS3632 standards. Inside, it’s an open-plan design with a large lounge, complete with a free-standing twin seat sofa, plus chair and coffee table. Ceilings are vaulted and we liked the dark wooded wall mounted shelving unit which has a large space and sockets for a TV. It contrasted well with the light wooden flooring and dark blue feature wall across the front of the lodge. Following current trends, the lounge is open-plan, which includes a central dining area next to the split kitchen design. 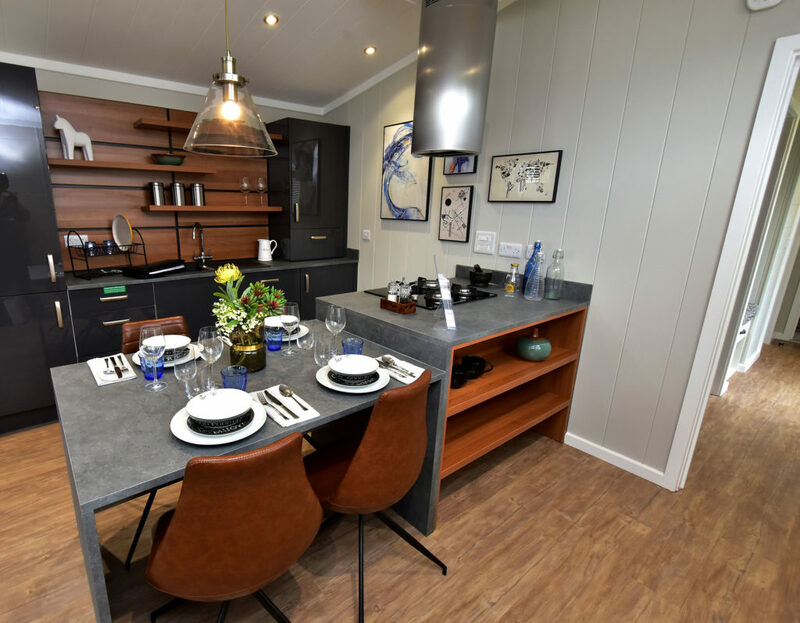 It looks really smart and practical too, plus the kitchen comes complete with a high specification, including integrated dishwasher plus fridge/freezer. Storage and worktop in the kitchen area isn’t in short supply either, so meal preparation won’t be a hard task, plus we liked the separate hob/oven. The colour scheme is bang on trend with greys and blacks accentuated by the warm wooden tones of the shelves and chairs. And check out the feature stepped shelving above the sink unit. 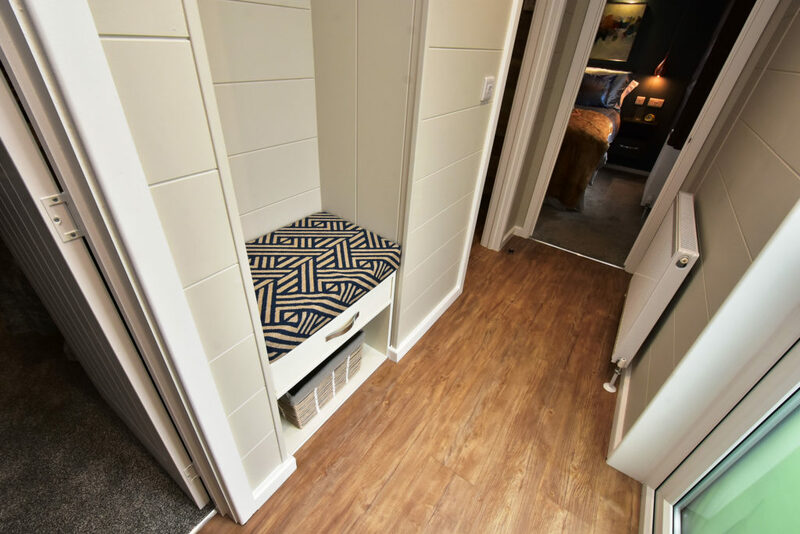 Walking through to the hallway, you’ll find a small seat here for taking off boots and shoes as well as hanging space for coats. Then on your left is the twin bedroom. It’s a decent size with a good floor area between the beds and a small wardrobe by the entrance. There’s a tall window between the beds for good natural light and ventilation. From here the communal bathroom is next, okay the shower/bath may be a little small for some, buts it’s ideal for children. 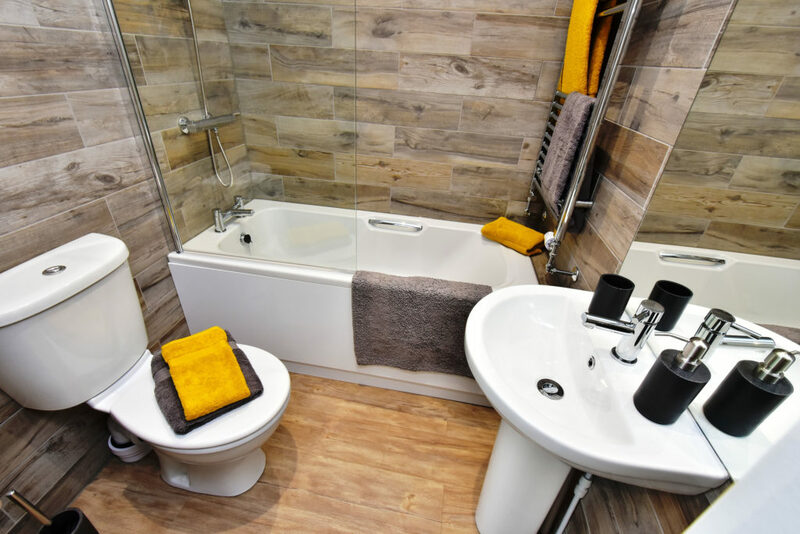 There’s also a loo and hand basin and overall the room is tastefully finished, with wood effect wall boards. 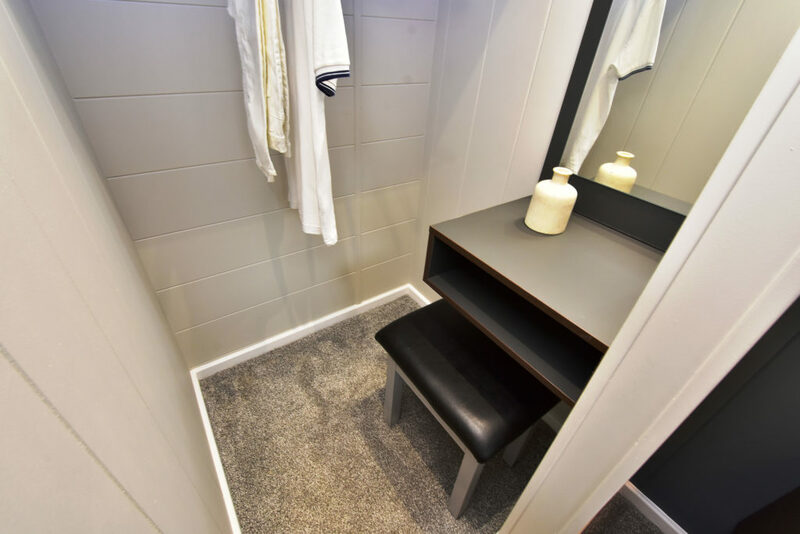 A walk-in wardrobe is fitted, which also comes with a small dressing table and stool. There isn’t a great deal of storage here – we feel some extra cupboards might not have gone amiss. 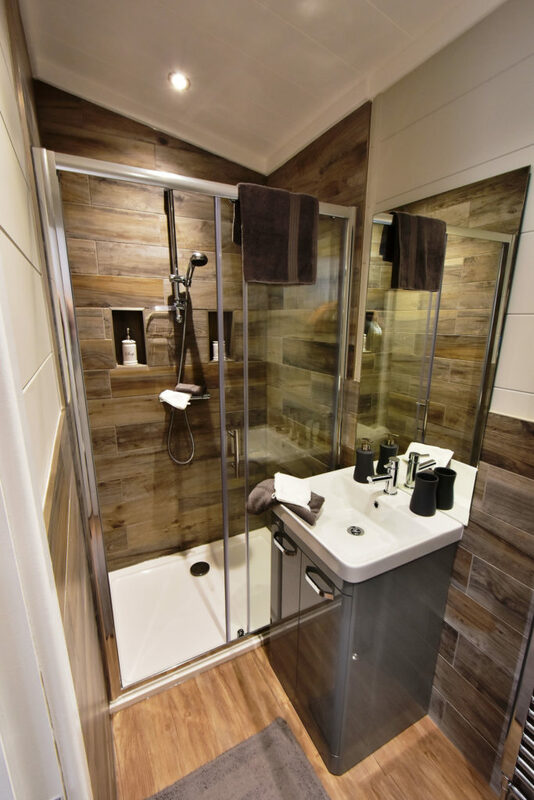 The en-suite is tastefully fitted and the hand basin has a large cupboard for toiletry storage. It’s also well illuminated at night and there’s a small window. 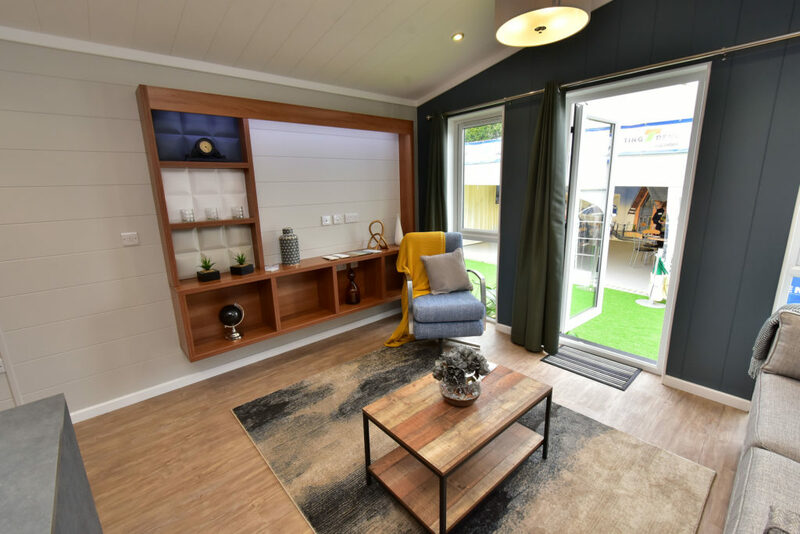 Verdict: The Savannah offers a family of four, or a couple, a well-appointed, contemporary holiday lodge, which can also be built to personal specification if needed. We liked the coastal version but on inspecting the woodland it could prove a hard choice. The floorplan works well but storage in the master bedroom could be helped with added shelving or the odd wall cupboard. Overall the build quality and finish are very hard to fault. 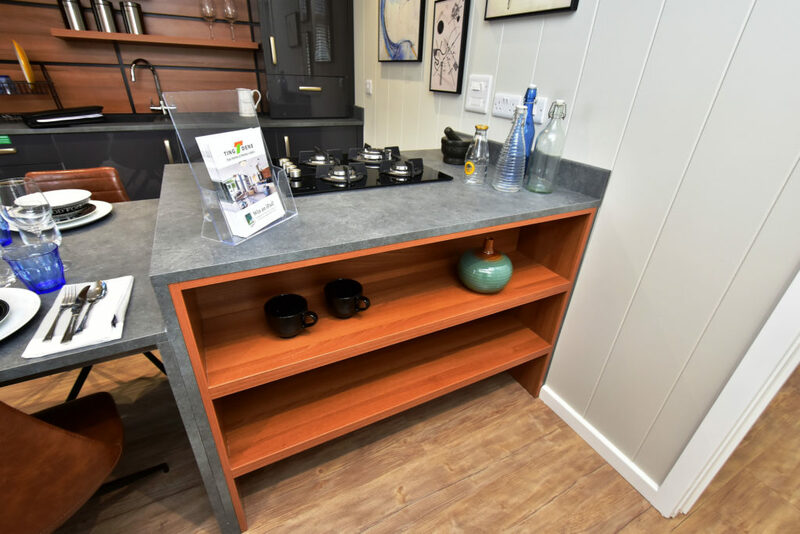 Plus points: Seating area-side dining area, TV cabinet and shelf storage. 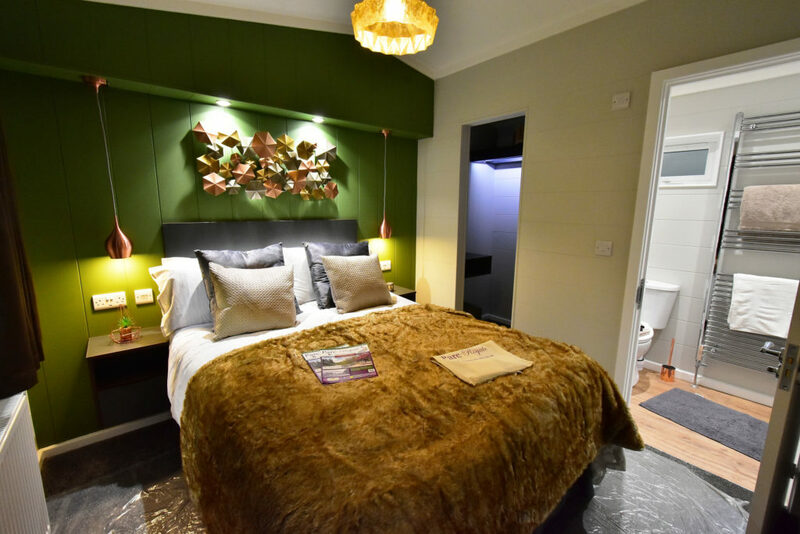 Minus points: Not much storage in the master bedroom, bath/shower a little small and small wardrobe in twin bedroom. 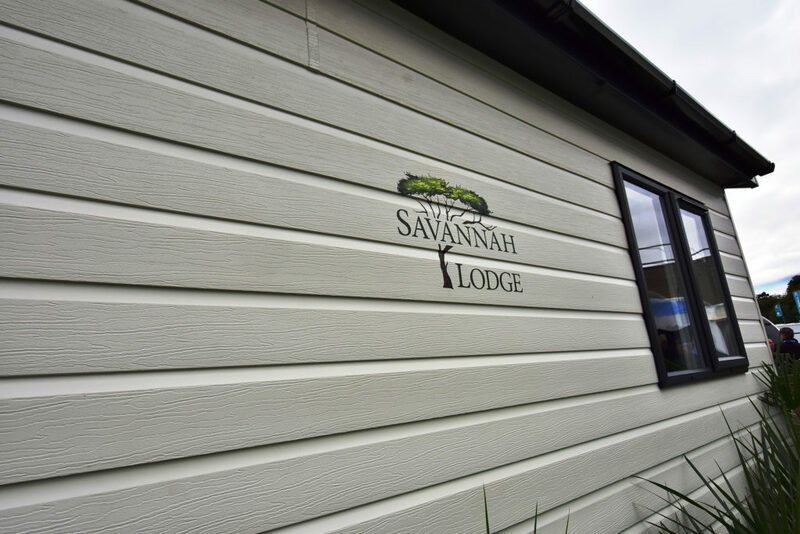 In a nutshell: The Savannah offers a holiday lodge at a good price, and its good to look at from the outside too. It’s got a decent specification and buyers can alter some areas, while it can be designed to adjust to certain plots too. Overall it’s as good as it gets. Key optional extras: Alternative exterior colours, Woodland interior, floor plan reversal, customer specifications catered for. For more information visit: Tingdene.co.uk or call 01933 230130. Click here to get your holiday lodge insurance quote online.